Between 1849 and 1874 almost $1 billion in gold was mined in California. 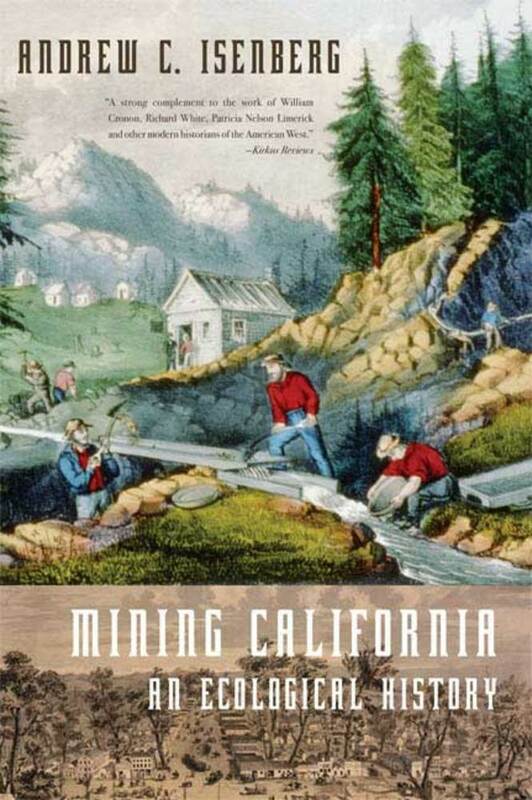 With little available capital or labor, here's how: high-pressure water cannons washed hillsides into sluices that used mercury to trap gold but let the soil wash away; eventually more than three times the amount of earth moved to make way for the Panama Canal entered California's rivers, leaving behind twenty tons of mercury every mile—rivers overflowed their banks and valleys were flooded, the land poisoned. In the rush to wealth, the same chain of foreseeable consequences reduced California's forests and grasslands. Not since William Cronon's Nature's Metropolis has a historian so skillfully applied John Muir's insight—"When we try to pick out anything by itself, we find it hitched to everything else in the universe"—to the telling of the history of the American West. Beautifully told, this is western environmental history at its finest. Andrew C. Isenberg is a professor of history at Temple University. He is the author of The Destruction of the Bison: An Environmental History, 1750–1920 and is a former fellow of the Huntington Library and the Shelby Cullom Davis Center for Historical Studies.